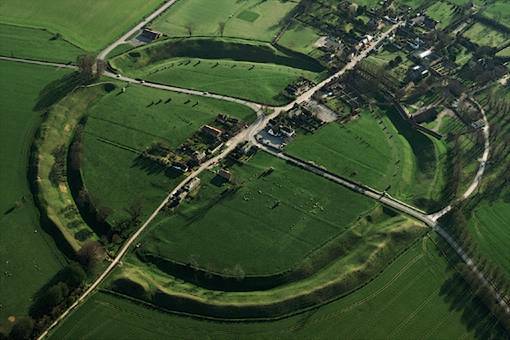 There was so much to see in such a short time and we knew we’d be hungry soon, so we planned a 5-mile circuit tour of Avebury to view the Sanctuary and Avebury Circle first before a stop of a pub dinner. 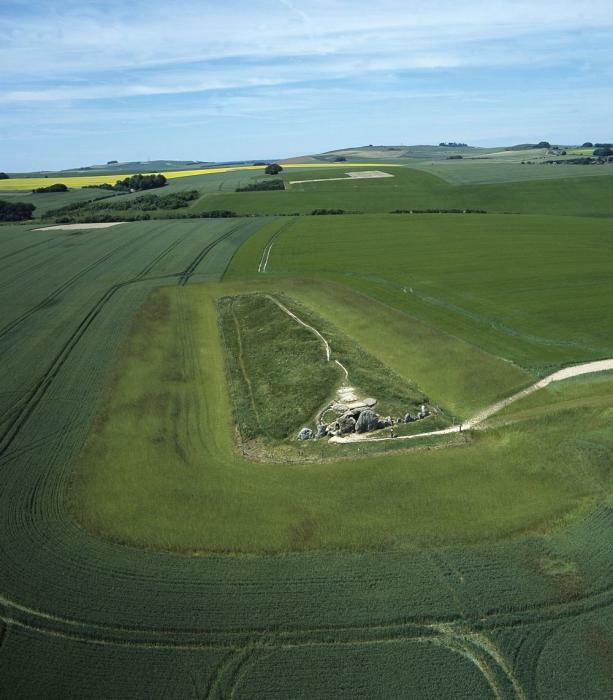 Then, as it’s still light until about 10.30pm, we would still have time to view Silbury Hill, West Kennett Avenue, and West Kennett Barrow, all ancient monuments dating back to the Iron Age or earlier. 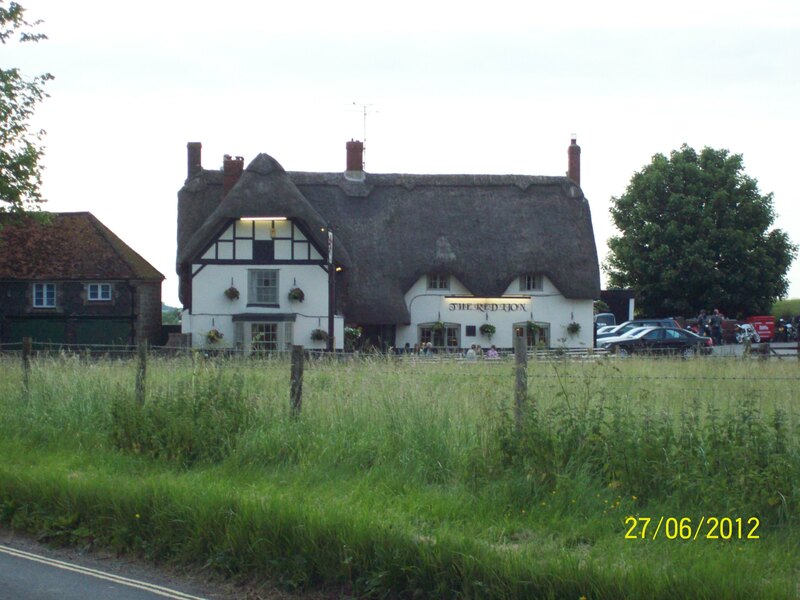 But we lingered a little too long in the pub. After a nice Scottish salmon salad and a glass of wine, we almost gave up the urge to explore. 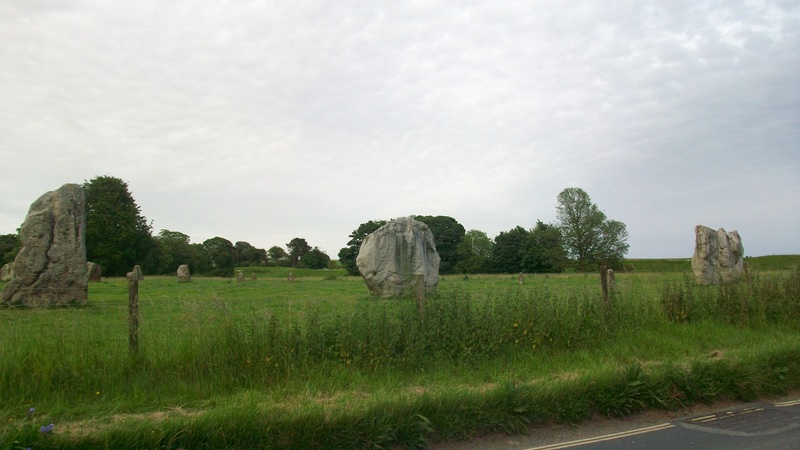 But there was still plenty of light and once we were out among the stones, curiosity returned and we walked along the ancient West Kennett Avenue, still lined with Sarsen Stones, until it stopped in the middle of a cow field. The cows were blocking the path and with lots of them and only two of us, we felt a little cautious and climbed over the low barbed wire fence to avoid them. Of course this was a wasted effort as they scattered anyway once they saw us get a little closer. Risking life and limb to avoid the ferocious cows! Fortunately skin and clothing survived the barbed wire and we headed over the meadow to Silbury Hill, a mysterious hand-built chalk hill. 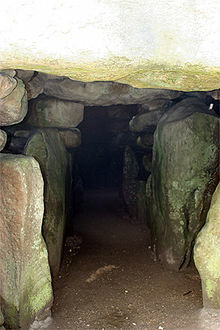 Who built it and why are still a mystery. 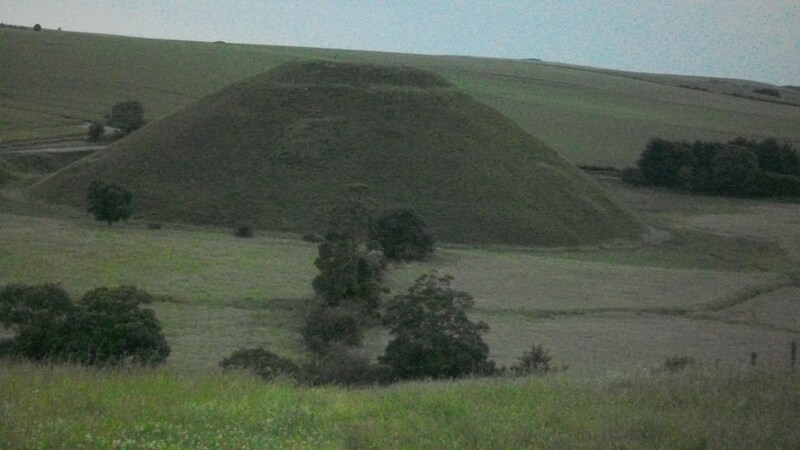 Silbury Hill – Made by ancient man. Photographed at dusk – hence the grainy photo. 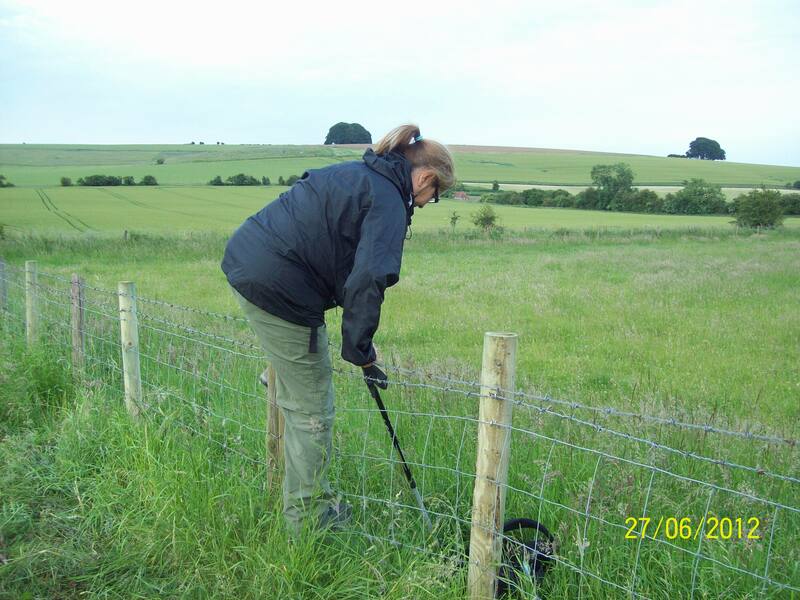 From the hillside opposite we could see the West Kennett Long Barrow about ½ mile away. 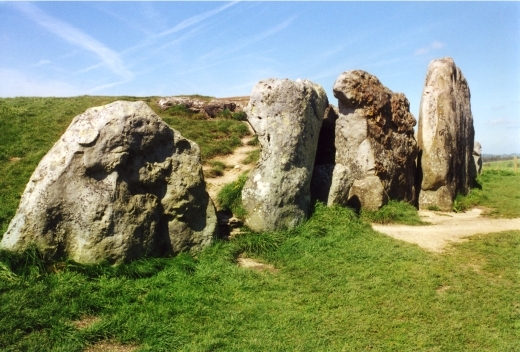 Barrows are ancient grave sites, usually containing the bones of a handful of people or more. Some are long and narrow in shape, while others are round and hill-shaped. By the time we reached it, dusk was starting to fall and the barrow looked pretty spooky, spelt dank and quite frankly gave me the creeps. We quickly took a couple of pictures and shot away back towards our B&B as the sun got lower. A bit freaky that place. We managed to view a lot that evening before we had even started the walk, and the trail promised plenty more sites tomorrow. …and a peek inside. Spooky! Yay – Caroline’s hiking adventures continue! Can’t wait to see the rest of your walk!